So I’m not really a floaty kind of person, all girlie and pink, but I was going through all the other gorgeous blogs I read in Blogland, via Bloglovin’ (if you are interested in following my blog) and I came across a Ta Dah moment from the gorgeous Coco Rose Diaries. 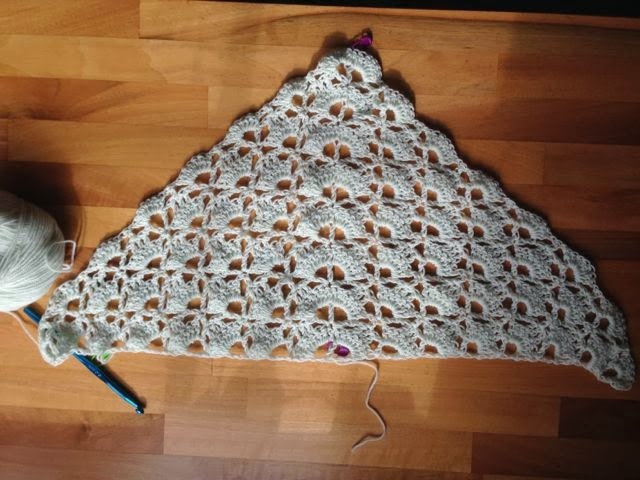 Now I hope the owner of this blog won’t mind me saying but I just lurrrrvvvveedd this shawl and I’m not a shawly person at all! Anyway, there is a link to a free pattern from Lion Brand here which is the one I’m following and although I had a bit of trouble with the words to begin with as it’s quite complicated when you try to write it down, they have included a brilliant diagram which makes the thing totally easy to follow! 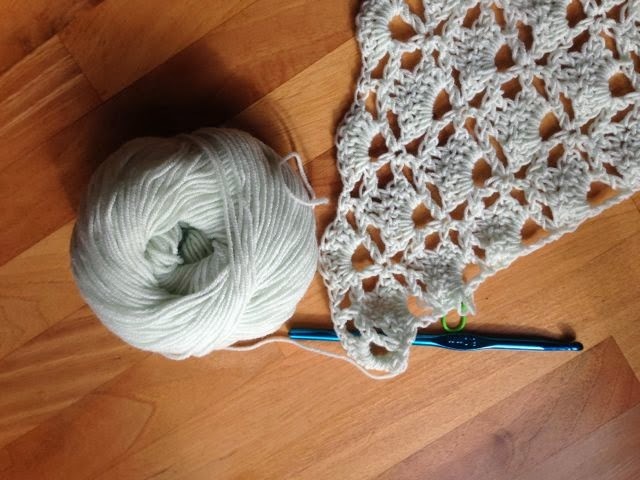 I’m using a Drops Baby Merino yarn in Light Mint which is gorgeous but I think I will be putting a border on it in a different colour. 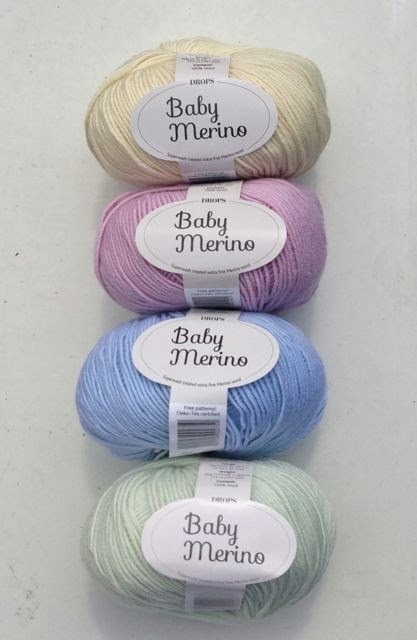 Maybe Light Yellow or Light Old Pink as I have both of these in my stash – all yummy colours as you can see so it will be difficult to choose. This was the same yarn I used for my gorgeous baby blanket which is now adorning my cousin’s little girl, born in August. You can see the blanket project here. Again, my daily trawl around Bloglovin has revealed a stunning border – pompoms – this time from the equally lovely blog Once Upon A Pink Moon, so these may well end up on my shawl. Watch this space! Are you thinking of those long cold winter nights (northern hemisphere only I guess!) so sorry to any southern hemisphere followers – however you’ve got the gorgeous summer to look forward to!